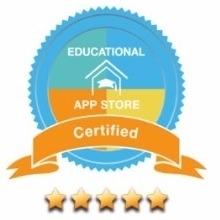 EduGuru Maths was today given an official 5* accreditation by the Educational App Store and described as “overall, an app children will love and continue to use, certainly worthy of its 5-star rating and representing excellent value for money”. MANCHESTER, 29th September 2016, music and sound design company GAS Music today announced they have re-mastered and produced well-known nursery rhymes for 4 educational apps created by NW-based The Game Creators. The Apps support the UK national curriculum and cover the key subjects of Maths, English, Art & Music and Science & Technology for 3-5 year olds. Music used in educational apps is crucial in maintaining the child’s interest and encouraging the repeat play that helps the learning process. The Game Creators worked closely with UK teachers, nursery schools and parents to create EduGuru and launched the Maths app in September, which features 128 games that engage children with core curriculum subjects in a fun open-ended way. GAS Music’s nursery rhyme tracks set the scene and add drama to the games which feature cute animated characters that bring education to life outside the classroom. The Game Creators today released EduGuru - the first in a series of Apps specifically aimed at the Educational Games market. 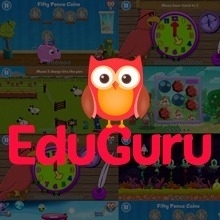 EduGuru is a series of educational apps, developed and built to fully support the UK National Curriculum. EduGuru Maths for 3-5 year olds was released today and EduGuru English, Science and Art Apps for 3-5 year olds will be available shortly.